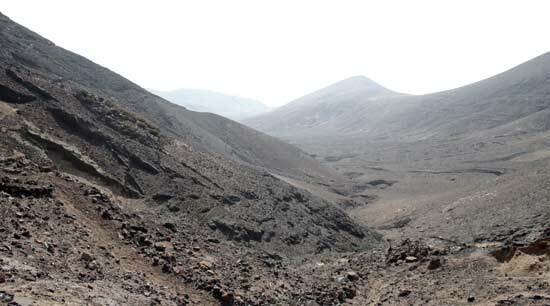 ADDRESSING: Leave a car in Playa Quemada and another in Femés. PLEASE NOTE: Wear appropriate clothing and shoes. Water. Some chocolate and pastries. Hat and sunscreen. 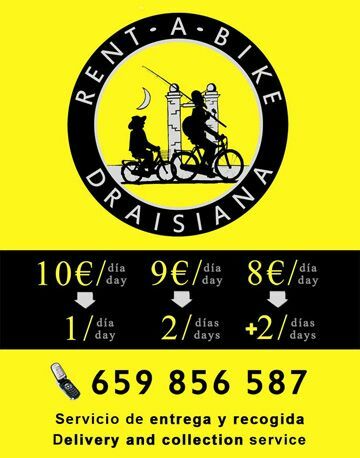 Do not forget the phone. 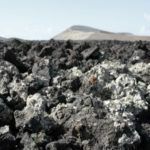 From the top of Femés are three possible routes through Los Ajaches Natural Monument, southeast of Lanzarote, in the direction of Playa Quemada, one of the most spectacular beach on the island. This is a well defined path through the network of trails. In the center of town Femés find an appropriate notice of the trips that we undertake. 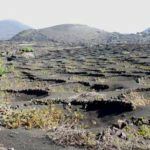 The most advisable, in our opinion, is the time between Femés and Playa Quemada, identified d uring the entire route by a purple circle. From the first moment we perceive the immense valley of Femés to cross during the day. In general, the paths to walk are tight, corresponding to very traditional herds of goats in the area. Accordingly, in a first stage, we must walk carefully along the banks of the trail and very zigzaceantes soil slopes, uneven and poor care. Despite the monotonous landscape, Los Ajaches you get caught by the contrast between the dry landscape of mountains and blue sky that seems eternal, of the sea. 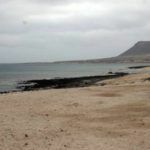 From different points along the route will be possible to glimpse the island of Lobos and the dunes of Corralejo, Fuerteventura, south, and north south coast of Lanzarote, in Playa Quemada, Barranco del Quiquere and Puerto del Carmen. All wrapped in a strange, sometimes desperate, quiet from the ASOC to strip south of Lanzarote. 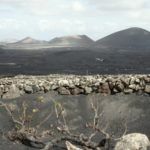 After approximately two hours of walking we will be on the threshold of entry to the black and spectacular beaches of Playa Quemada. We recommend that you begin the descent to the coast, as indicated by the purple road signs along the beach further south from its position. The easily recognized because only a few meters from the sea detect a green patch (of the few in Los Ajaches), a product of the patient’s hand a couple of locals Reef have been applied in its creation from the early twentieth century 90 . No official name, we have christened the Cactus containing small gardens . A small grove of pine and cactus does coquettishly decorated suitable for rest and refreshment. The clean and calm waters of the cove also invite a first bath weather permitting. However, his is appropriate for a time of recess created by the pair of arrecifeños and, once installed, go with the curious exhibition of details of the sea prepared in a small cave close to containing small gardens. Many hikers have left their memories and n the area, either in words written on pebbles, along with some new detail in the exhibit. 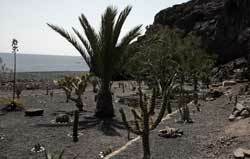 Once he recovered his breath, we will retake the road north to Playa Quemada. 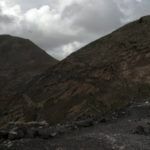 This final section is something durillo by the constant ups and downs of an uneven terrain. 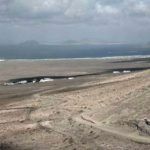 Among the goat trails will access the beach at El Pozo to finish a little further north, on the black beach of Playa Quemada. There are three different beaches with few swimmers and are characterized by calm waters.